Built on top of the Mercedes Benz A-Class, the Infiniti Q30 has the deft performance and a gorgeous sporty look. The latter is well- accentuated by dramatic curves, a sophisticated stance, eye-inspired LED headlights, twin-exhaust tailpipes completed in dark chrome, muscular wheel arches and a provocative low-slung roofline that completes the dominant exterior. The classy looks continue inside the Q30. You will like the soft, durable and comfy Nappa Leather seating plus the advanced control and tech afforded to the driver. Space in there is also good. It has a wide square opening that allows faster loading and unloading, whereas 60/40 folding rear seats make more space for you. The Infiniti Q30 has more than the fine looks. It has a powerful 1.6L petrol turbo engine coupled with other performance features like the 7-speed Dual Clutch Transmission, Paddle shifters etc. It also has finely tuned handling thanks to features like intelligent cruise control, sports suspension etc. You can rent Infiniti Q30 from us and use it for business purpose or perhaps touring around Dubai and the UAE. It is a high end vehicle befitting of posh places and those who want to make a clear statement of luxury and success. You can make a grand entry and even seal those business deals by simply showing off a bit of luxury muscle. If you want a tour of Dubai in a comfortable car, then it is also a nice choice. Besides, you will get the space to travel with friends or family along with some pets and luggage. That’s the versatility of the Infiniti Q30 but the real beauty is that we have it in a showroom lit with executive cars for hire in Dubai. 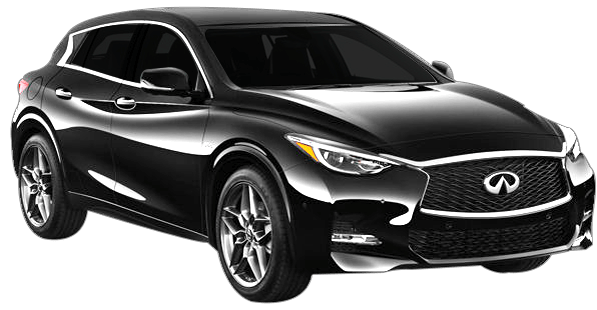 Our Infiniti Q30 rental in Dubai is low price and certainly backed by one of the best customer services in the market. So, what are you waiting for?